KPC Injury Law is considered to be one of the most recommended personal injury law firms in the province Ontario. We have recovered of millions of dollars in compensation for injury victims and their families and continue to make a difference by serving our community. If you were injured in Ontario, you deserve compensation. 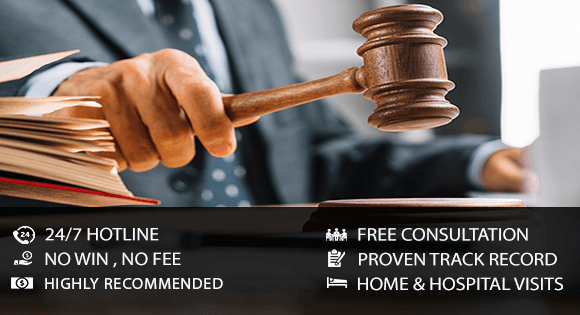 Contact us today for a free, no obligation consultation, and get the peace of mind that comes from knowing that your rights are protected by the best legal minds in Ontario. The expert legal team of KPC Injury Law has the experience, the expertise, and the resources needed to recover substantial compensation via settlement negotiations or by taking the case to trial if necessary. Our personal injury lawyers all have trial experience and have fought for the rights of injury victims in courtrooms at every level of court in the province. Personal injury law is what we are known for and dedicated to. KPC Injury Law has a proven track record of success and has recovered some of the highest settlements in the history of Canadian law. We are legal professionals that you can rely on during the most difficult times of your life.